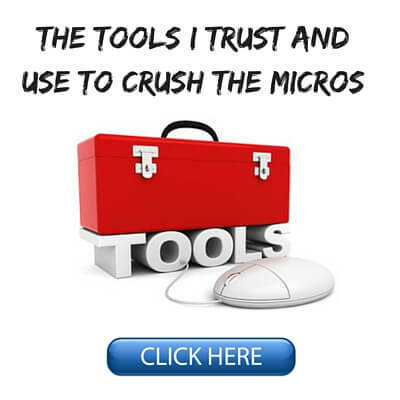 The Blog of BlackRain79, #1 Winnings of All-Time at the Micros. 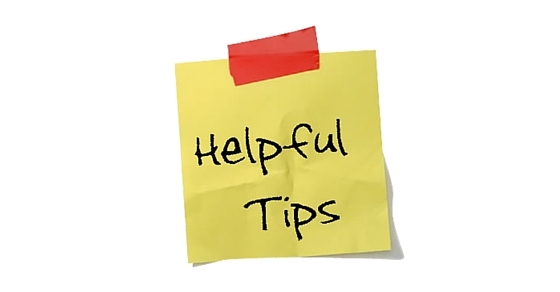 Sometimes it can be difficult to find good beginner poker tips in 2019 online. After all, there is such a huge amount of information out there these days that it can be difficult to even know where to begin. But starting out the right way in this game is crucially important. If you develop bad habits early on, this could harm your play, and more importantly your results, for a long time to come. 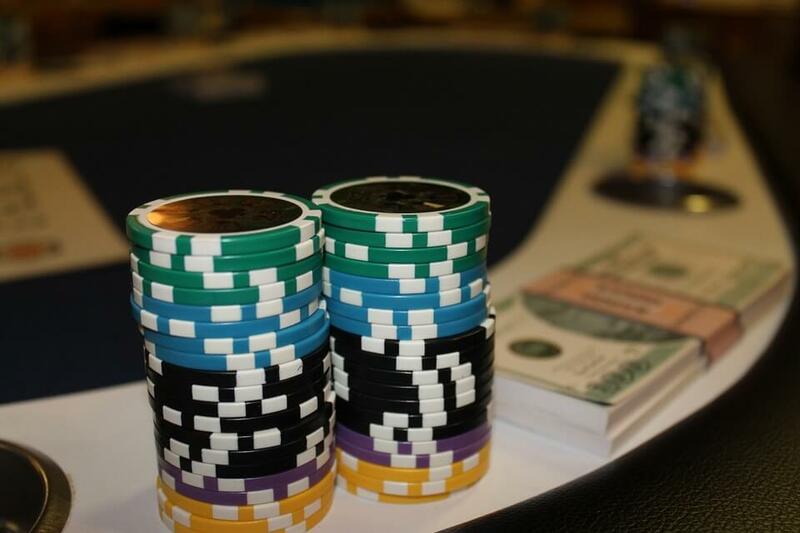 So in this article I am going to discuss my top 12 beginner poker tips for new poker players. Let's get started! It is very important for poker beginners to keep it relatively tight. This means that you only want to be playing decently good hands. What do I mean by "decently good hands?" Here is a rough visualization of what the top 20% and 15% of hands look like. All hands that are marked in yellow are the ones we want to play. So this means that you should actually be folding 80%-85% of all hands that you are dealt before the flop. This might sound a little bit crazy at first but hear me out. The reason why I suggest folding so many hands is because playing subpar hands will often get you in trouble. It will also lead to situations where you make a good hand like top pair or even a flush, but somebody has a higher kicker or a better flush. So one of the best tips for new poker players is to keep it relatively tight preflop. This means folding most of the hands that you are dealt. So what do you do with the hands that you decide to play? Well you want to play them aggressively. This means that you want to come into the pot for a raise most of the time. If you are the first person into the pot then you should always come in for a raise. I would recommend making your raise 3 times the big blind in most games online. Sometimes you might want to make it a bit more in a live poker game. The reason that we want to be aggressive with the hands that we play most of the time is because it gives us control of the pot. This makes it a lot easier to win the pot after the flop because we will have the betting lead. One of the biggest keys to your success in poker will be playing in games where there are lots of people who are worse than you. These are the types of games that you might hear referred to as "soft" or "juicy." These games have players in them that are playing far more than the top 20% of their hands. Also, they will often be playing most of their hands in a passive way by just limping into the pot for example. They call these poker players "fish" for a reason! In poker you will make most of your money against players like this because they are making big mistakes. It will be much more difficult to make a big profit against the solid regular opponents who play a tight and aggressive game. So it is very important that you make sure that there are bad players (or at least somebody worse than you) in any poker game that you decide to play in. I have written a comprehensive article about table selection which may help you further. A big key for having success against bad or weaker poker players is to keep from trying to bluff them too much. The reason why is because these types of players like to call a lot with very weak hands. If you have raised preflop it is ok to make a continuation bet on the flop most of the time. But after that, if you get called, it is important to slow down on the turn and river if you have nothing. A lot of people waste a lot of money trying to bluff the weaker players. It is very important to have the discipline to just check it down or fold when you don't have anything versus these types of players. Are you struggling to beat the low stakes poker games? Do you want a simple step by step guide to show you exactly how to start winning consistently right now? That is why I recently wrote this free little 50 page no BS guide to teach you exactly how to start crushing these games right now. 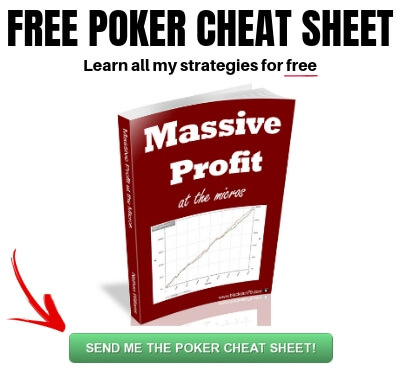 Enter your details below and I will send my free poker cheat sheet to your email right now. The great thing about poker though is that for every ying there is a yang. If the weaker players will call us a lot more often then this means that we can bet more often for value with a wider range of hands. So against players who will call with hands as weak as bottom pair or ace high for instance you can make a value bet against them with hands like top pair or middle pair very often. But this is just poker and it will always swing both ways over the long run. The important point to remember is that value betting will be a huge profit source for you and this is one of the main reasons why you want to play against bad poker players. They will play too many hands and pay you off very easily. Another very important tip for new poker players is to play within your bankroll. What is a bankroll you might ask? This is the total amount of money that you have set aside to play this game with. So if you play online poker then there will be a cashier button in the poker room lobby where you can check your total bankroll. 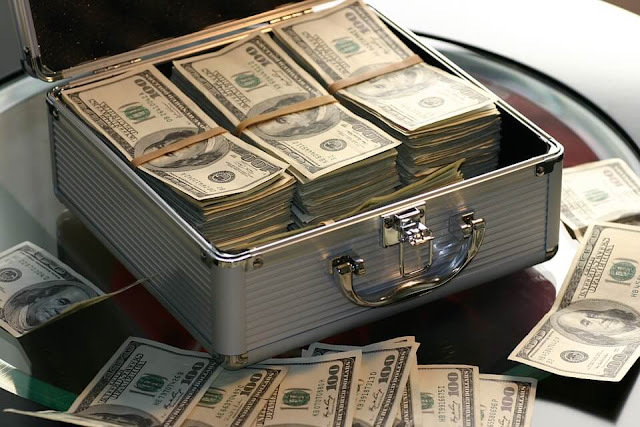 If you play in live poker games then you should have a certain amount of money designated as your poker bankroll. I generally suggest having at least 20 buyins for the game that you are playing in. This means that if you are playing in a $50 buyin game, then you should have at least $1000 in your bankroll. The reason why you need this much is because there are a lot of natural ups and downs in poker. The technical term for this is called "variance." Sometimes you will win or lose as much as 5 buyins in a single session. If you only had 5 buyins in your entire bankroll, then you could potentially go broke in one session! I have also previously written a comprehensive article on bankroll management which may be of further help. If you are completely new to the game of poker, then it is very important that you learn the rules. Basically this means that you know "what beats what." You should know for instance that a flush beats a straight and a full house beats them both. It is best to simply memorize the rules. There are many good resources online to help you do this. Here is a good article for instance with all of the poker hand rankings. Another tip if you plan to play online poker is to start at the play money tables. All poker rooms online offer tables where you can play for free. This is a good place to get used to playing poker and to understand the rules of the game. However, you can't win anything in play money. So once you get the hang of the game, then you should probably move on to the real money games. A big mistake that a lot of beginners make is paying too much for their draws or "chasing" as some might say. It is important to understand a little bit of basic poker math and know what your pot odds are. Basically, you do not want to be calling with your draw if your hand odds are worse than your pot odds. I have written a big article before about poker math which provides examples of how to calculate this. Another big key to success for a newer poker player is playing at stakes that you are comfortable with. Many people will make the mistake of playing at stakes which are way too high for them. If you have never played poker before, then I would recommend simply starting at the very lowest limits online or in the casino. 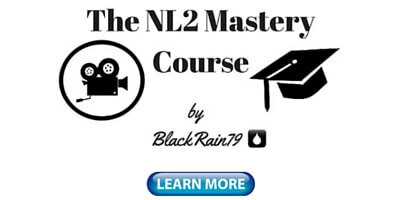 Usually online the lowest limit that you will find is NL2. This game has a $2 max buyin and the blinds are 1 cent and 2 cents. In a casino the lowest game that you will usually find is $1/$2 blinds. The buyin will typically be between $50 and $200. A fair warning though. Just because you can play for a lot less money online does not mean that the games will be much easier. In fact, often the opposite is true. With that said though, if you want to start playing for a very cheap amount (as low as $2), then online poker might be a better option for you. Another key for beginners to online poker is to avoid playing too many tables at first. With online poker you can essentially play almost as many tables as you want. And yes, this will allow you to multiple your winnings. However, each additional table that you add takes a little bit away from your concentration and this can lead to mistakes. If you are brand new to online poker though I would recommend starting out with only 1 table at first. If you feel like you are able to handle this easily, then you can try adding more. However, make sure you only add one at a time! 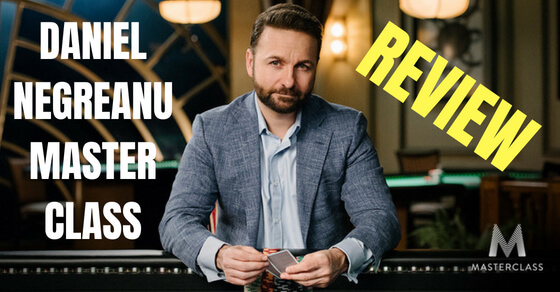 If you want a complete breakdown of how I play 4, 8, 12 or more tables, then check out my free guide, how to play more online poker tables. It is important to try and play in position as often as possible in poker in order to have the most success. When you get to act last after the flop this will give you so many more options and you will profit more in the long run. Having position allows you to see what your opponents decide to do before making your decision at each stage of the hand. This valuable information will allow you to dictate the pace of the hand, get additional value bets or even bluffs in. Your opponents on the other hand will always be left guessing as to what you are going to do. So you should always try to play more of your hands in and around the button. In these seats you will get to act last after the flop and therefore your opponents will be forced to make their decisions before you on every street. While it is not 100% necessary to use a poker tracking program in order to win at online poker, it will definitely help you make better decisions. Therefore, once you get serious about the game, you should at least try one out for awhile. A poker tracking program basically reads the raw data from the hands that you play and converts it into useful information for you. You can think of it as creating a "read" for you. This is very important in the fast paced multi-tabling world of online poker because often it will be difficult to keep track of all your opponents. Using one of these programs will also help you locate the bad players much more easily which is a huge plus. I have written an article which shows you exactly how to setup the program and start using the HUD. You can even download my HUD setup for free and use it yourself. You can find that article here. Ok I know I said the top 12 tips. This one was too important to leave off the list though! This is the simple idea of always having fun when you play this game. Poker is an exciting game with many different formats available from cash games to tournaments to sit and gos. It is really important that you choose to play the format that is right for you. And more importantly, you should pick the one that you find to be the most fun and exciting. The reason why is that poker is a crazy game with a lot of ups and downs. At times you will be jumping for joy. At other times you will be despairing your terrible luck. But what will keep you going over the long run besides a solid winning strategy, is your love for the game. 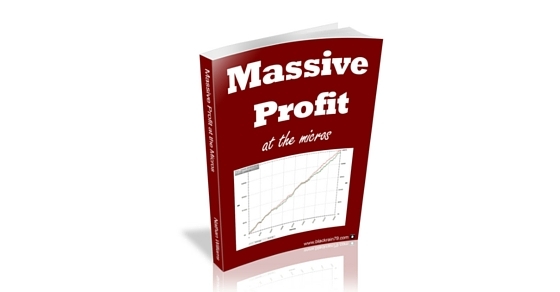 For a more in depth look at how to create a winning strategy go download my free guide Massive Profit at the Micros here. Your passion for the game is all you, can't help with that. But if you found this website and got to this far in this article then you probably share my love of this game. I hope that this list of beginner poker tips for 2019 will be useful for you as you start your poker journey. Many of them will seem basic to you after awhile but it is really important for new poker players to start off on the right foot. Make sure that you are playing a tight aggressive game against weak poker players. Don't bluff them too much but value bet them often. Play in games that fit your bankroll and have fun! 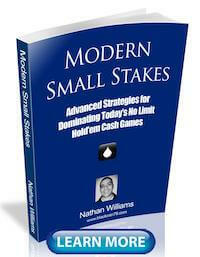 Make sure you download my free poker ebook to learn the complete strategy that I use to CRUSH the lower limits online. And if you want to know about my day to day life as a poker pro traveling the world, make sure to follow me on Instagram. 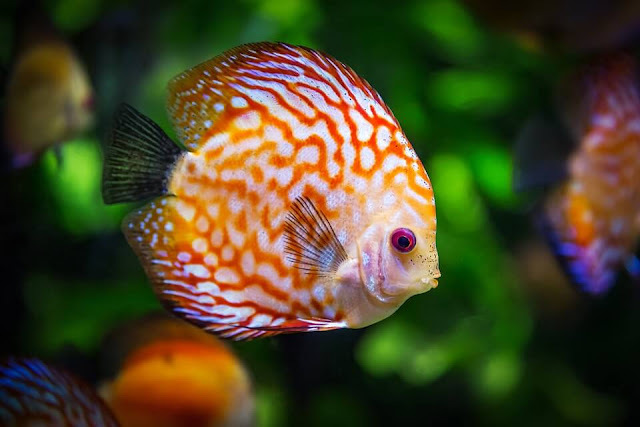 If you found this article helpful, do me a favor and give it s "Like" or a "Tweet" below. Thanks Silas glad you enjoyed! For example I folded a J 4 off suit today when someone raised to 10× (or more) the BB before the flop turned out I would of had 4 of a kind Jacks by the turn. Obviously this is an extreme and rare example but there's no way of saying that just because statistically AA is the strongest hand that you won't be beaten by trash 4 times out of 5. It is all about the math. The reason why we don't play these hands like J4 offsuit is because statistically they do not flop well very often. A hand like this also has a lot of reverse implied odds. What I mean by that is you are more likely to get in bad spots where you share top pair with somebody else but they have the better kicker. So what percentage of 'winning bad hands' do they actually play (Ie hands that they fold even though they would have won if they had seen the flop) . Just playing a game now the guy next to me raised before the flop and called against someone turbed out had pocket aces. Flop was a 7 4 3 and the guy next to me had 2 pair. 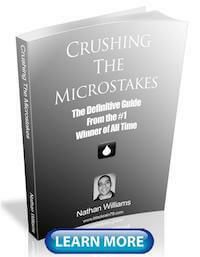 My name is Nathan "BlackRain79" Williams and I have some of the highest poker winnings of all-time at the micros. 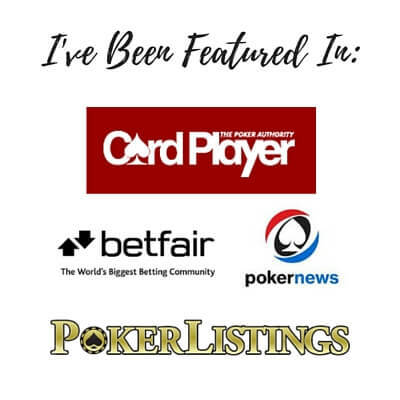 I am also a 10+ year poker pro and a multiple time best selling poker author. Read more about my poker story here. 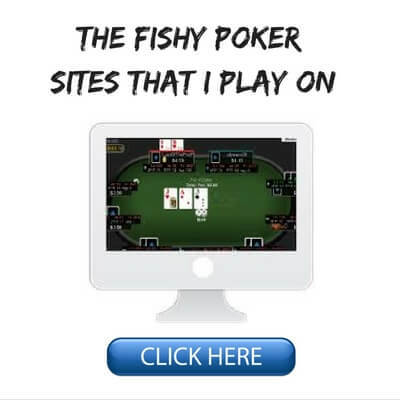 Can You Win at Online Poker Without Using a HUD?